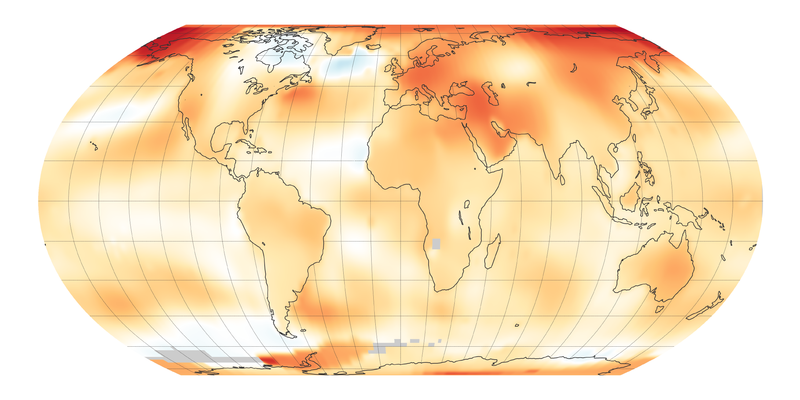 "The map(s) above depicts global temperature anomalies in 2018. It does not show absolute temperatures; instead, it shows how much warmer or cooler each region of Earth was compared to a baseline average from 1951 to 1980." "This line plot shows yearly temperature anomalies from 1880 to 2018, with respect to the 1951-1980 mean, as recorded by NASA, NOAA, the Japan Meteorological Agency, the Berkeley Earth research group, and the Met Office Hadley Centre (UK). Though there are minor variations from year to year, all five temperature records show peaks and valleys in sync with each other. All show rapid warming in the past few decades, and all show the past decade has been the warmest." "This animation shows the seasonal cycle in global temperature anomalies for every month since 1880. Each line shows how much the global monthly temperature was above or below the global mean from 1980–2015. 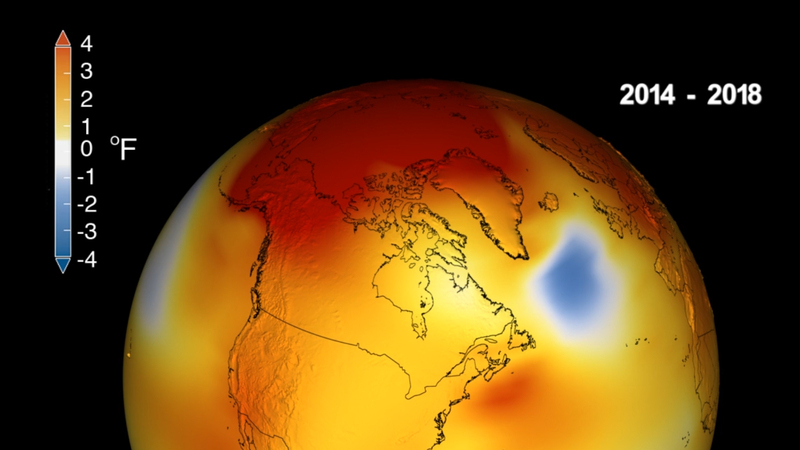 The column on the right lists each year when a new global temperature record was set." Credit to NASA, The Global Modeling and Assimilation Office. Full Speed Ahead! Damn the Tornadoes, Droughts, & Tempests!